Viano : 2003 - 2007. Vito W639 : 2003 - 2007. Crafter :2006 - Onwards. Sprinter 906 : 2006 - Onwards. Vehicle model years are for reference only. MODEL W203 C220 CL203 COUPE. PAINT COLOR OBSIDIAN BLACK 197U. INTERIOR TRIM LEATHER BLACK ANTHRACITE. ITEM CONDITION. MILEAGE N/A. MODEL: S320 LONG CDI W220. ON THEM IN FORM OF SCRATCHES. BODY TYPE: 4 DOOR SALOON. YEAR: 2002. ALWAYS COMPARE PART NUMBER. GOOD WORKING ORDER. Suitable For Selected W205 C-Class Models. 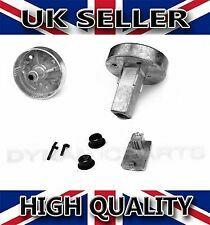 All our parts are used second hand and off the shelf so may have storage marks on them. MAKE SURETHE PART NUMBER MATCH WITH YOUR OLD PART. Suitable for Various W166 ML Models. BODY TYPE: 5 DOOR SALOON. (REMOVED FROM YEAR: 2016). We will always help you to have a 100% positive happy buying experience. OUR REF: 1464-280319-162358030. Is in its original condition - full inspection will be done. Tested and in working order. The Scottish Highland. Northern Island. Eligible countries. FROM C CLAS W203. Key Features. We are gladly at your service for any further queries. Part number N/A. Goods will only be dispatched upon cleared funds. (Except Malta, Cyprus, Canary Islands). Class service. We will endeavour to replace any incorrect or faulty tem as fast as possible. Rear Headrest. Trim Code: 218. Parts bought and sold. Used car spares. ARMREST IN GREY. COLOUR CODE: SILVER 744. REG NUMBER: LJ53 ZGC. Door plan: 4 Reg Date UK: 11-11-2008. Trim Type: 4 DOOR SALOON Reg Date: 11-11-2008. An item has been previously used. Trim: Introduced Fuel: DIESEL Exp Date CC's: 2987 Engine No: 64293040730336. FROM C CLASS W203. Part number N/A. We are gladly at your service for any further queries. Mon - Fri 9:00 - 18:00. Goods will only be dispatched upon cleared funds. Key Features. (Except Malta, Cyprus, Canary Islands). 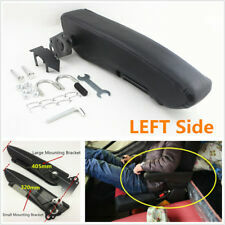 In order to install this armrest you will need to DRILL your center console. Note:In order for the armrest to fit the space between the front seats must be from 14.5 cm/ 5. 70 ” to 19.5 cm/ 7. Siz e :Height 290 mm - 380mm Length 320 - 370mm Width 1 25 mm. COLLECTION IS FROM OUR UNIT IN WAKEFIELD OR SMALLER PARTS CAN BE COLLECTED FROM GARFORTH (LEEDS) OUT OF HOURS UPON REQUEST. ALL OUR PARTS ARE IN GOOD WORKING ORDER, WE BUY VEHICLES TO BREAK, WE CHECK ALL PARTS TO CHECK BEFORE ADVERTISING, IF THERE IS A FAULT IT WILL BE LISTED. 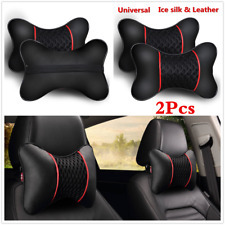 PAIR OF FRONT LEATHER HEADRESTS. MODEL:E CLASS W211 E200 KOMPRESSOR. COLOUR: SILVER PAINT CODE 744. on them in the form of. PART NUMBER BODY TYPE: 4 DOOR SALOON. 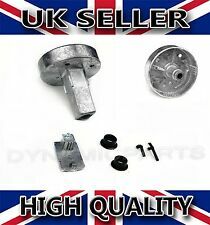 Compare part nr to find out it is the right part for your car. YEAR: 2003. Viano: 2003 - 2007. Vito W693: - 2003 - 2007. Crafter: 2006 - Onward. Sprinter 907: 2006 - Onward. Front Left Armrest Repair Kit Set. No fitting instructions are provided with the product. FEATURES:• Big storage for many different utility things. • Top opens with a hinge and stays very secure when closed. • Mounting is done directly onto the center console/tunnel. • Soft, leather like material• One cup/drink holders at the front and two on the back side. 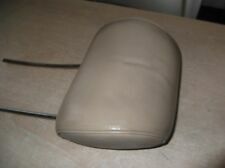 Genuine w124 grey armrest. If you are unsure if the parts fit your vehicle, I am here to help. Model version codeW204 (Saloon) S204 (Estate). An item has been previously used. Fuel typeDiesel. Engine CC2143. Engine Litre2.2. Engine number65191130084614. Engine codeOM651.91. Body styleESTATE. C CLASS CW203. We are gladly at your service for any further queries. Goods will only be dispatched upon cleared funds. Key Features. (Except Malta, Cyprus, Canary Islands). Part number 2208400574. Key Features. We are gladly at your service for any further queries. Goods will only be dispatched upon cleared funds. (Except Malta, Cyprus, Canary Islands). Removed by the cars owner when they dropped the rear seats and not replaced when the car was sold. Been in dry storage for many years. VITO W638 1995-2003. VITO V CLASS 1995-2003. 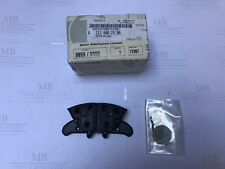 Repair Kit Set Spare. Trim Type: 4 DOOR SALOON Reg Date: 14-12-2007. An item that has been previously used. Trim: Introduced Fuel: DIESEL Exp Date Door plan: 4 Reg Date UK: 14-12-2007. Parts compatibility table is just for reference as it might differ with year and model. Model Series:W203 (FL). Fuel Type: PETROL. FRONT LEATHER HEADREST. Body Style: 4 DOOR SALOON. CHECK YOUR PART NUMBER AGAINST OURS TO ENSURE THAT THIS IS THE CORRECT ONE FOR YOUR VEHICLE. Gears: 5 AUTOMATIC. Item location: United Kingdom Wiltishire. We accept. Yellow plug, two (2) female pins with two (2) wires electrical connection. Fits both front seats.